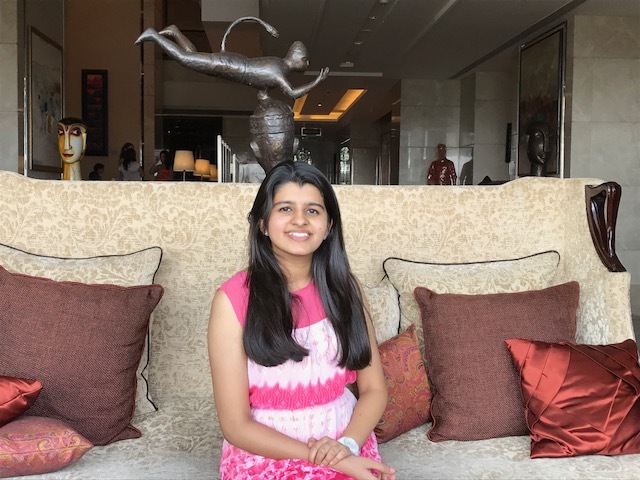 Khushi Maheshwari has secured Rank 6 at the CLAT this year, and this is what she has to say about her journey through it all. CLATGyan is extremely proud of her achievement and we wish that she continues to shine in her endeavours at law school. Becoming a lawyer was my dream from the very beginning and I finally decided in the 10th grade that I wanted to pursue law. No, I didn’t get my motivation from Suits (only). I enrolled myself in the two year classroom course. 11th grade saw me adjusting to college life, making new friends, joining committees and so on. My CLAT prep began with full swing only in the 12th grade. In this article, I am not going to tell you the books you need to refer to or the number of hours you need to put in or how many mocks should one take to crack this examination. All those answers are easily available. Another question which many CLAT aspirants always ask is, “What should I do so that I am better than the best and in turn, assure myself a seat in one of the top law schools?” Am I going to answer that question? Unfortunately, no because there is no such “fixed answer”. Slogging for 15 hours a day might not ensure you a seat in one of the top law schools and 5-6 hours of study might give you a single digit rank. What did I do? I belong to the former category and I had to slog. There is no doubt that hard work pays off but only when it is put in the right direction. You need to ensure that every hour of your CLAT prep takes you one step closer to your dream law school. One important thing that aspirants often overlook is the power of motivation. From where do I get that motivation to solve math every day? Or to miss my friend’s birthday party and cram up GK in that time? Do whatever it takes to motivate you. Watch videos of toppers online or read articles on CLATGyan (like you are doing now). Visualise yourselves in front of the gates of NLSIU or NALSAR. Make a picture of their campus as your lock screen. Anything that gives you a push to go that extra mile. Because you are going to need it. When your mock score won’t go up for one-month straight or when you will forever see a certain X topping all your mocks., that’s when you need to be patient and consistent and keep working, no matter how difficult it gets. Coming to our dear mocks, take them seriously. I cannot stress on how important they are in helping you to achieve your goal. I used to be damn scared of taking mocks too. What if I don’t cross that 100 mark? What if I get a rank in thousands? It’s okay guys! Mocks are there to help you out, not to scare you. Take a mock. Identify your weaknesses. Work on them and you are all set for your next mock. Continue this process till you have identified almost all your weaknesses and have worked upon them. It’s okay to make mistakes in a mock and learn from them rather than making those on the day of CLAT when there is no going back. I would also like to emphasise on two words – don’t stress. Atleast not on the D-day. There are many kids who work really hard and aim to get a seat in the top law schools of our country. Not all of them make it. Why don’t they? What separates them from the ones who make it is that the latter group is mostly calm on the day of the exam. No matter how the paper is, you should neither feel too happy in case of an easy paper nor feel dejected upon coming across something difficult. If it’s easy for you, it might be so for everyone and vice-versa. Stress has the ability to make you forget what you had revised and a calm mind can answer even those questions which it wasn’t prepared for. Don’t begin your paper with a mindset that you cannot clear the hurdles that come your way. That is the worst that you can do. Having said all this, I want each one of you to remember that in an exam like CLAT, success can never be guaranteed. You can never be 100% sure that you are going to make it where you always wanted to. Instead of thinking of CLAT as a big pain of your life, that you want to get rid off as soon as possible, I want you to enjoy this journey. It feels good when you know the meaning of a strange word that appears in the editorial section of the newspaper or you can solve a math problem with ease or for that matter even name the President of Ecuador in the blink of an eye. No matter what rank you get in CLAT, this exam is going to make you look at things from a different perspective. I have always believed in this and I would encourage all of you to do the same. Give everything that you can so that you do not have any regrets when you come out of the examination hall. Even if I had not got a good rank, I would have been as happy as AIR 1 because I knew in my place that I had given it my all. Best of luck ! Meet you at Nagarbhavi. AIR 6 – CLAT 2017.